Glacier Ridge is a new winter wonderland at the Smoky Mountain Christmas at Dollywood that features sparking light displays, an incredible 50 foot video motion Christmas tree and synchronized musical light shows every 30 minutes! It stretches through the Timber Canyon, Wilderness Pass and the upper portion of Craftsman’s Valley sections of the park. Depending upon how you enter Glacier Ridge, you will see different light displays. If you enter from Timber Canyon, you will encounter a 130-foot-long light tunnel called the Arctic Passage that will transport you to Glacier Ridge. However, if you enter through Craftsman’s Valley, you will see a re-creation of the aurora borealis phenomenon that is responsible for the northern lights. Altogether, there have been more than 1 million lights added to the park at Glacier Ridge to bring Dollywood’s total count of holiday lights to more than 5 million! The Smoky Mountain Christmas at Dollywood is a celebration of the holiday season with live musical productions, beautiful Christmas lights and a wonderful nightly parade. Kids have the opportunity to meet Rudolph and his friends, as well as Santa Claus himself! The best part is that the festival is included as part of your daily admission to Dollywood. This means that you can also enjoy the park’s regular lineup of rides and attractions throughout the day! After visiting Glacier Ridge, go for a thrilling ride on the Mystery Mine roller coaster or a steam train excursion aboard the Dollywood Express. 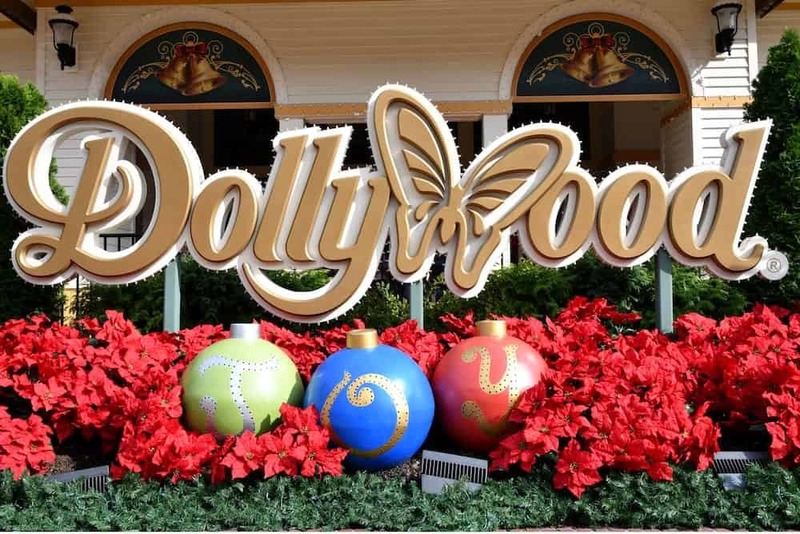 When planning your trip to the Smoky Mountain Christmas at Dollywood, be sure to check out the Dollywood operating calendar for the official park hours. Note that the park is closed on Mondays throughout November, as well as on Christmas Eve and Christmas Day. Dollywood is located at 2700 Dollywood Parks Boulevard in Pigeon Forge, TN. Stay just minutes from the Smoky Mountain Christmas at Dollywood with a vacation at Hemlock Hills Resort Rentals! Our cabins are situated in scenic locations among the Smokies but are still close to all of the action of Pigeon Forge! We have a variety of cabin sizes to meet your needs, ranging from 1 bedroom cabins for a couple to 5 bedroom cabins for a group of family or friends! While staying with us, enjoy all types of excellent amenities including a fully equipped kitchen, soothing hot tub, fireplace and more! Check out all of our cabins in Pigeon Forge TN today to stay close to the Smoky Mountain Christmas at Dollywood and be one of the first guests to visit Glacier Ridge! We look forward to seeing you during the holiday season at Hemlock Hills Resort Rentals!